The rules Cannae take it ... well actually they can. I recently bought a set of rules called "To The Strongest!" by Simon Miller (BigRedBatCave). Myself and my good friend Stuart tried them out. 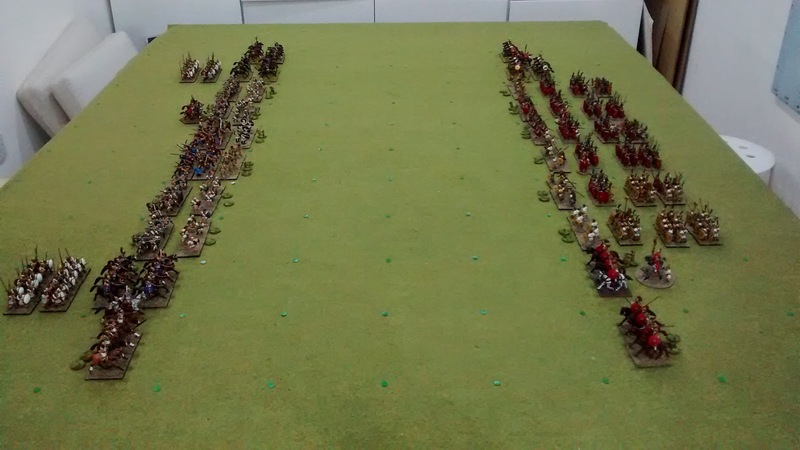 I set up a Cannae style battle of Romans and Carthaginians. The thinking being that if a set of rules can "do Cannae" they must be OK.
No points were used, I just laid out two armies that looked about right.